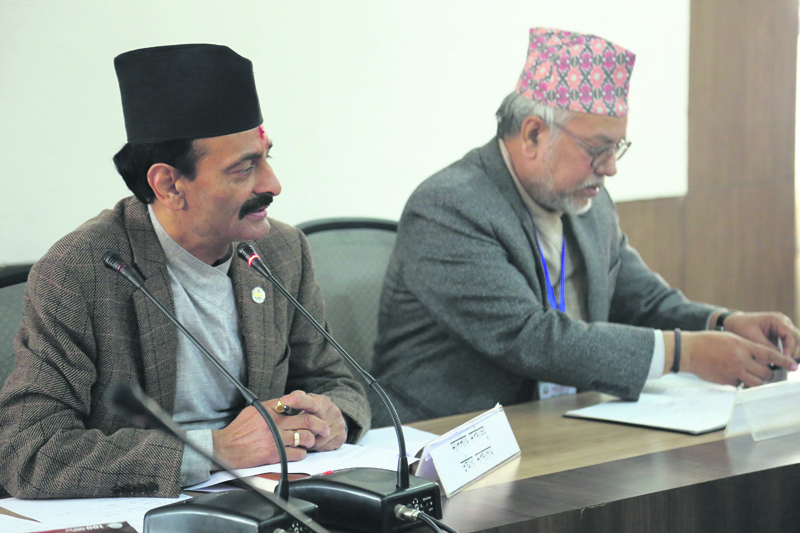 KATHMANDU, Feb 16: Minister for Industry Nabindra Raj Joshi has promised the representatives of diplomatic missions that the government would treat foreign investors at the same level as domestic investors. These laws will get through from the cabinet before Investment Summit that is scheduled on March 2-3, added Joshi. The government, in cooperation with the Investment Board, is preparing a project bank to showcase at the summit. Some 50 infrastructure projects -- including more than a dozen mines-based industries apart from mega hydropower, tunnel road and fast track projects -- are being prepared as investment-ready project. The project bank includes projects like Chemical Fertilizer Plant, Kathmandu-Pokhara Railway, Kathmandu-Kulekhani-Hetauda Tunnel Highway, Tamakoshi III Hydropower Project (650 MW), Second International Airport, East-West Electric Railway Project, East-West Electricity Railway Link to India Project, Kathmandu Valley Metro Project and Kathmandu-Pokhara Railway Project apart from more than a dozen mining projects. 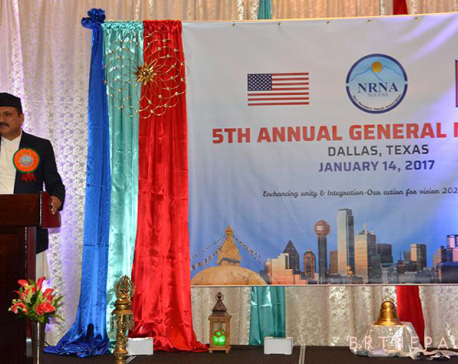 Nepali political parties have recently understood that the economic development and prosperity are interlinked and they are committed to the development, he said, adding that the common understanding among the political parties have created the investment environment in Nepal. The representatives of the diplomatic missions, on the occasion, raised question about the repatriation and the proposed Foreign Investment and Technology Transfer Act, Intellectual Property Rights Act and Labor Act and the timely amendment to these laws. Foreign Investment and Technology Transfer Act (FITTA) has already been approved by the Ministry of Law and other related ministries and it will be endorsed by the cabinet before the Investment Summit, Joshi added. The government is planning to organize Investment Summit to with an aim of attracting over $1 billion of FDI.